Nyan eye shadow. So süüßßßß~<3 <3. 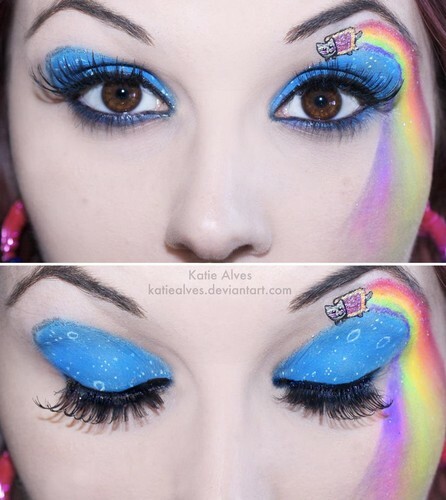 HD Wallpaper and background images in the Nyan Cat club tagged: nyan cat rainbow eyes nyan cat eyeshadow. This Nyan Cat photo might contain porträt, kopfbild, nahaufnahme, portrait, headshot, and kopfschuss. This is just freaking amazing! OH God ! THIS WILL COMPLETE MY LIFE!PLZ TEACH ME!!!! !